Over 130 people attended and represented a variety of tribes, universities, and government agencies. Highlights of the meeting included the student poster reception in which 28 students participated, the rich discussions, and the potential for future collaborations. Stay tuned for TEHS 2020! Videos of the talks are available and hosted by the Oregon State University Superfund Research Center’s Tribal Resource Page. OSU PhD student Sydelle Harrison receiving an award for her poster from Dr. Linda Birnbaum, Director of NIEHS and Stuart Harris. Sponsorship provided by the Oregon State University College of Public Health and Human Sciences, National Institute of Environmental Health Sciences (R13 ES029008) and the Native Environmental Health Research Network. 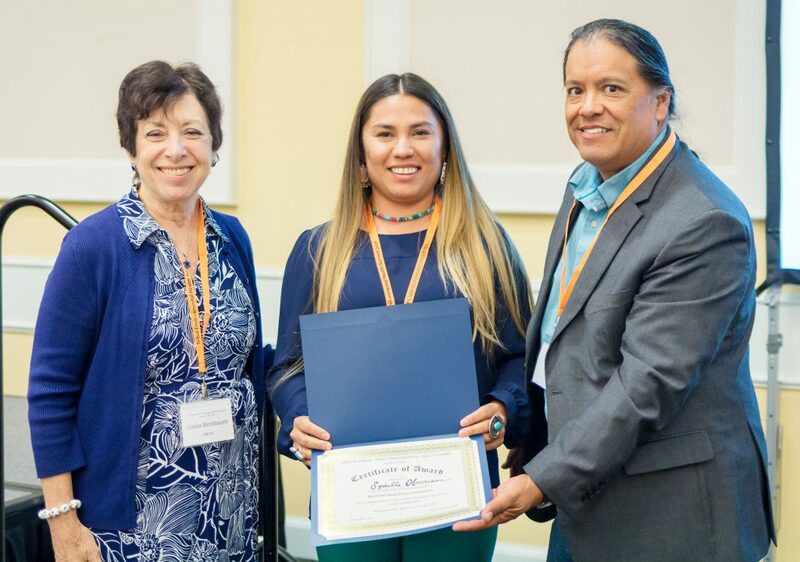 © 2019 Tribal Environmental Health Summit 2018, all rights reserved.